Ten days of meetings wrapped up in Bonn this week as negotiators worked on the draft text of global climate treaty that, if all goes according to plan, will be finalized at the COP 21 climate conference in Paris later this year. The conference coincides with the G7’s pledge to decarbonize their economies by the end of the century. Combined with recent commitments from developing countries, ongoing progress in the business sector, partnerships among global cities to take substantive action on climate change, and an expected papal encyclical next week addressing climate change, momentum to reach the finish line in Paris is growing. 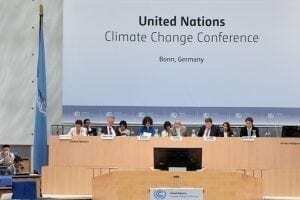 Despite this impetus toward action, many observers in Bonn reported sluggish progress throughout most of the conference as participating nations worked to whittle down the wording of the 89-page draft text. As the end of the talks neared, negotiators had only been able to edit the draft down to 85 pages. Specific wording of the text remains the principal roadblock to faster progress in negotiations. The most vulnerable and slowly developing nations insisted that the words “loss and damage” be included in the final text. Another point of contention arose over the phrase “differentiated commitments/contributions,” which is preferred by the Chinese and refers to emissions targets, or “commitments/contributions/actions,” favored by the United States. 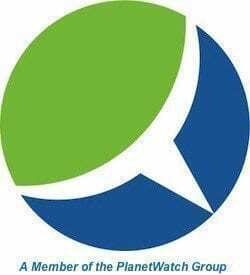 The word “differentiated” stems from “common but differentiated responsibilities” (CBDR) enshrined as Principle 7 of the Rio Declaration at the first Rio Earth Summit in 1992. China is resolute that CBDR remain a core component of any future agreement, while the U.S. voices concerns that the term has been used in the past to cut a clear dividing line between developed and developing nations, a line that the U.S. says is no longer clear-cut because of the rapid progress of emerging economies. China is now the largest emitter of greenhouse gases and the second largest economic power. In an effort to streamline the flagging process of wrestling an agreeable text into fruition, countries agreed in the final hours of Bonn meetings to allow the two delegates co-chairing the negotiations to bring a working text to the table by mid-July. Producing a framework text in this manner will make it easier for governments and their ministers to identify key political decisions required before COP 21 convenes in Paris on November 30. Another healthy sign reported by delegates is a less acrimonious atmosphere than at previous negotiations. Despite the divide over wording and the responsibilities of the developed world vs. the needs of the developing work, participants reported a real desire to do the work required to reach a compromise solution. “We should not be frustrated and disappointed. We will get there,” said Laurence Tubiana, special representative for the COP 21 climate conference, adding that she was “feeling optimistic after these two weeks”. Christiana Figueres, Executive Secretary of the UN Framework Convention on Climate Change (UNFCCC), voiced optimism that the complex process of defining the terms and forging an agreeable text is moving forward at both strategically and tactically.